It’s a big day. 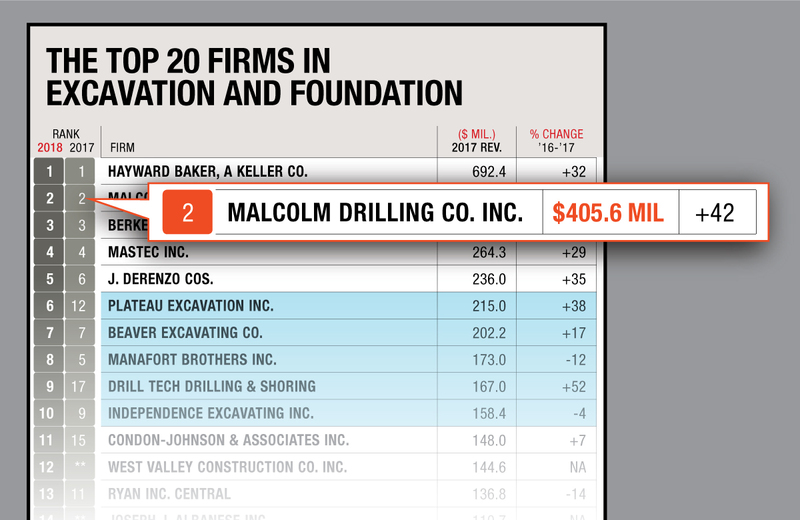 In addition to holding the #2 spot on Engineering News Record’s Excavation/Foundation Specialty Contractor List for the second year in a row, Malcolm also broke the $400M mark. We’re proud of these accomplishments and look forward to all that is to come.